Consuella de Sides - meherbabatravels jimdo page! Consuella de Sides ( nee Hatmaker ) - "Connie"
The street where Alfredo and Consuella de Sides lived in Paris, Rue Git-le-Coeur, in French, means "the resting place of the heart", or "there lies the heart"
Alfredo Sides’ wife Consuelo sailed with me to India. 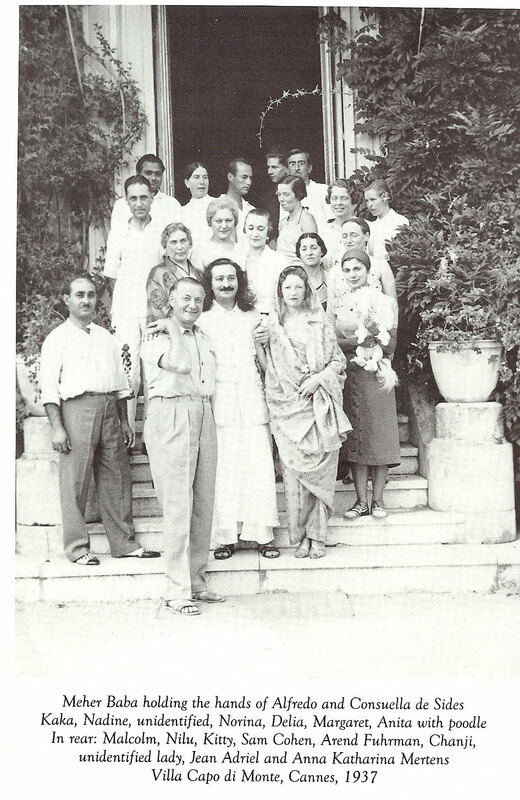 She intended to stay there several years with Sri Meher Baba, but Alfredo, when he came to the station to see us off to Genoa, said, « Don’t let Consuelo do anything foolish and please take care of her. » Before Alfredo, Consuelo had been married to Charles Nungesser, a dashing, devil-may-care French World War I pilot of legend. He was reputed to have spent more time in the hospital and in various women’s beds than he did in the air. He did however spend enough time in the air to shoot down 43 German aircraft. 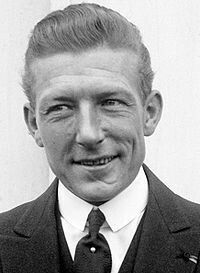 He also talked himself into the American Lafeyette Escadrille for one month, from July 14 until August 15, 1916 where he relaxed and showed the American pilots and crews his gold teeth, teeth that were necessitated after being shot in the mouth during a dogfight with the Germans. After the war he tried to fly west over the Atlantic at the same time that Lindbergh flew east. Nungesser was lost on the flight. But it was not until she married the unmarriageable Alfredo that we became close friends. I will never know what made Alfredo suddenly marry. He was out of character in doing so and was certainly not the husband for Consuelo. I had booked passage to Ceylon intending from there to cross over to southern India and go directly to Tiruvannamalai where Ramana Maharshi lived. But when the ship called at Bombay, Princess Norina Matchabelli came on board to see me with a message from Meher Baba saying that Consuelo and I must get off the ship and come to see him in Ahmednagar, about two hours from Bombay. I did not want to do this as my real purpose in India was to see the Maharshi, and I was impatient to get to him. But Consuelo was going to Baba and she and Norina pressed me to do the same. It was an appallingly hot day and I had a migraine headache, so I let them pack my things and, in a daze, followed them off the boat. I remember edging my way through masses of people whose dark faces stood out in the brilliant sunlight against the white which the men wore. There was also a great deal of color among the crowds — turbans and saris of brilliant pinks, blues, greens, every imaginable color, and after the incessant black one sees worn in occidental countries, Bombay gave me the impression of a gay festival. The next day we motored to Baba’s ashram in Ahmednagar. This a place he had built a number of years ago, even before he had European disciples. He had built it for what are called in India « God-mad men and women » These are people who become possessed by God and the spiritual life, and go out of their minds. A great many of them had become insane at an early age. Thousands of them wander all over India, sleep in the fields and are fed by anyone who gives them food. Most of them are harmless, but their physical condition becomes tragic. Although they are considered holy and like the Sacred Cow allowed privileges, down through the ages nothing had been done about them by the government or by individuals. I was, however, not at all happy my first night in the ashram. Baba had many times spoken to me about it, and he had always promised me that if I ever went there I would have a room or a cabin of my own. This point had been brought up because Norina had told me that all the women slept in dormitories. I am a poor sleeper and I knew that under these conditions I would not be able to sleep. Also I have a horror of a lot of women herded together. This is one of the reasons why I have always hated convents and the life of nuns and any kind of dormitory school life. So I was extremely upset when I was told I would have to sleep in a dormitory. I mentioned this to Norina, who brushed my objections aside and said that I had to be « like everyone else. » Looking back on it now I realize that I had no right to expect special treatment. Baba was possibly teaching me a lesson, but I felt that a man who was a spiritual teacher should not break his word. When we left Bombay, Consuelo and I kept our promise to Baba and went on quite an extensive tour of India. Among the many places we saw I was most charmed, in a worldly sense, by the little city of Jaipur built entirely of pink stone. Here was a fairy tale world — a world from a Bakst ballet. In front of the pink palace with its ornate door of gold stood Indian guards wearing only short white skirts and white jaipurs, and the most beautiful green turbans draped in a very special manner. I saw a string of elephants belonging to the Maharajah sauntering past the palace. Thrown over their backs were blankets of the most exquisite gold material, while on their heads sat naked boys in the Buddha posture wearing brilliantly colored turbans, and directing the elephants with sharp cries. 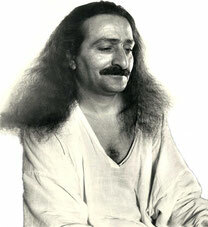 Meher Baba wired us to go to Poona, and when we got there he sent us a message to go to a certain cave and meditate for several weeks. This I flatly refused to do. I told Consuelo she could do so if she wished, but that I was on my way to southern India and the Maharshi. So she came along with me. We went to Bangalore, Mysore, and Madras and then to Pondicherry, hoping to see Aurobindo Ghose in his ashram. Consuelo Hatmaker was a Madison Avenue socialite. Consuelo's father was James R. Hatmaker. Her mother was Nellie V. Sands. Nellie Sands married into the money made by her first husband, Captain Joseph Raphael DeLamar. Captain DeLamar made millions in gold mining in 1878 Leadville, Colorado, as well as politics. 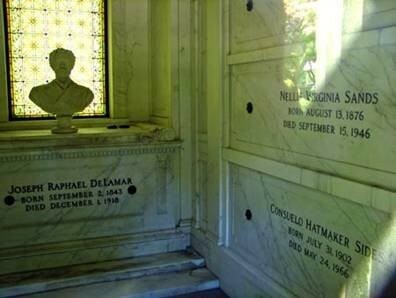 Nellie and Captain DeLamar had one daughter, Alice A. DeLamar (half-sister to Consuelo). Nellie’s second husband was to James R. Hatmaker. After her divorce, Nellie Sands married a third time to American Captain William Waters. Originally, it was planned to be a mother-daughter double wedding, between Captain Waters and Nellie Sands, and Captain Nungesser and Consuelo Hatmaker. Consuelo’s father objected, so Charles Nungesser and Consuelo waited several months. To my knowledge, Charles Nungesser and Consuelo Hatmaker had no children. From what I have researched, almost as soon as the marriage began, Charles tried to convince Consuelo to move to Paris with him. She refused, wanting to stay in the socialite lifestyle of New York City. So, Charles moved to Paris, and Consuelo stayed in New York. Basically, as soon as the marriage started, they were separated. They officially divorced on September 9, 1926. Charles Nungesser did not remarry. His disappearance was only 8 months later. 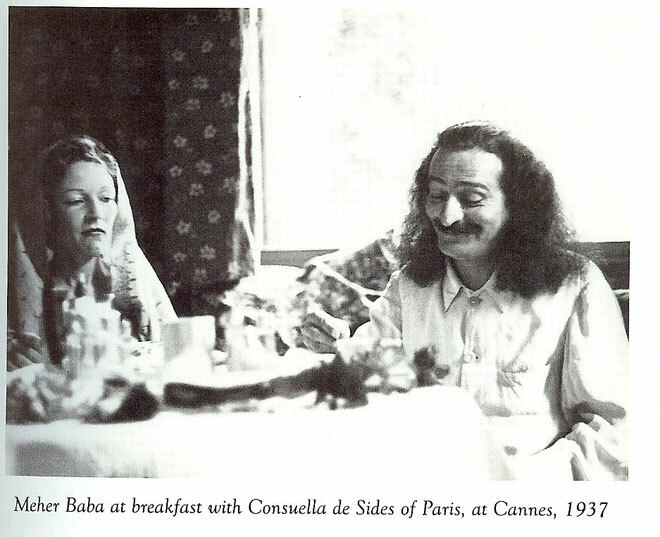 Ironically, the widow Consuelo eventually returned to Paris, then marrying Alfredo Sides on October 7, 1934. Captain Charles Nungesser, famous French ace, fourteen times decorated for valor, is engaged to Miss Consuelo Hatmaker, of No. 270 Park Avenue, Manhattan. 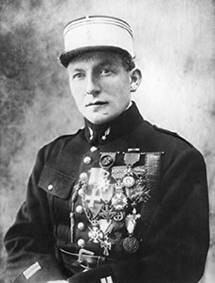 Nungesser is 32 years of age, and has the most brilliant record of any of the French aces. He was wounded 17 times and has, as a result, a platinum jaw, knee and foot. When he was shot through the jaw and the roof of his mouth, he went on fighting. This cost him nine months in the hospital. He has 105 German planes to his credit, of which 83 were confirmed: 43 shot down and destroyed, 40 forced down within the Allied lines. He was decorated with the Legion d'Honneur, the Medaille Militaire, Croix de Guerre with 30 palms and two etoiles, besides many foreign decorations. When in the United States in 1921, he walked about jauntily and his many wounds did not seem to bother him one jot or tittle. He says that to be a successful scout pilot a man must have " eyes all around his head." 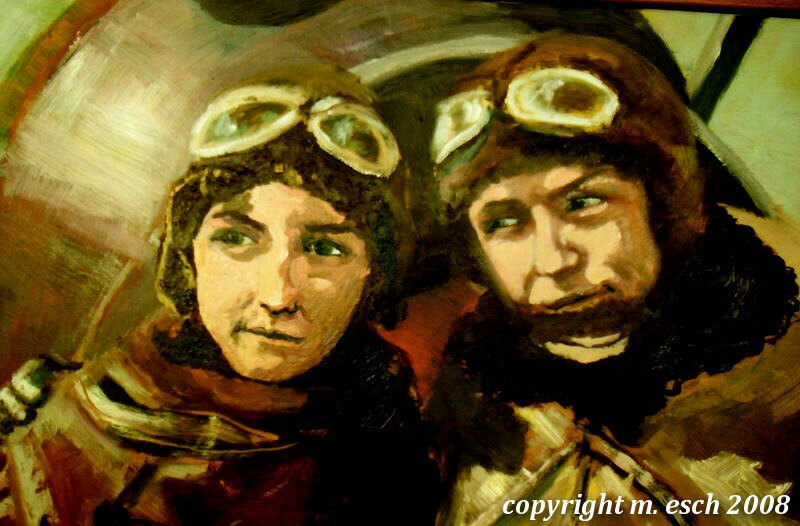 This is a detail of my oil portrait in progress, depicting French WWI Ace, Charles Nunngesser and his young bride from New York City, Consuelo Hatmaker. In producing this painting by referencing a few rare black and white photos of the glamorous couple, I am most intrigued by the sparks in their eyes that seem to be lit by and for each other. I wonder what flying adventures they had together after the war. Although Charles and Consuelos' marriage lasted only a short time in France, reportedly due to Consuelo's homesickness for New York, the two did meet again and spent some time together, barnstorming after their divorce in the United States. 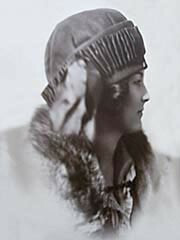 Charles had dinner at Consuelo's mother's home in France on the night before his fateful last take-off in an attempt to cross the Atlantic from France for New York in and aircraft named l' Oiseau Blanc (the White Bird) in 1927, just a few days before Lindbergh successfully made the crossing. Divorced. Captain Charles Nungesser, French ace who had brought down 83 enemy planes, who had been wounded 17 times, who had lost an arm, a leg, a chin; by Mrs. Consuelo Hatmaker Nungesser, daughter of the onetime confidential secretary to Cornelius Vanderbilt; at Paris. She charged "incompatibility. "† In 1923, romantic patriots pointed with pride to a double wedding at Dinard, France, where Miss Hatmaker, 19, married Ace Nungesser; where her mother married Capt. 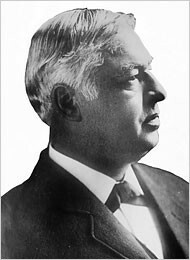 William Waters, U. S. A. 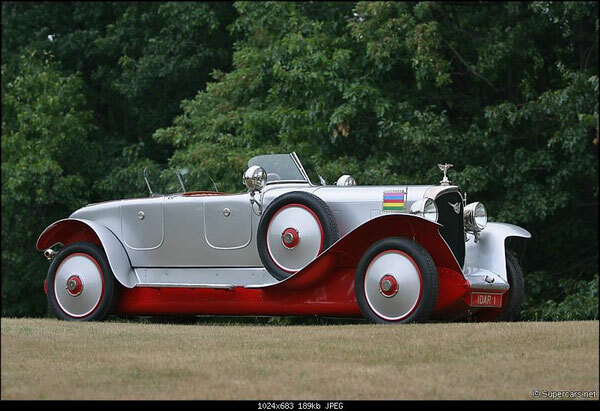 Also making extensive use of aluminium in its construction and priced to rival the contemporary Hispano-Suiza, the Farman automobile was sold from palatial showrooms in the Champs Elys�es, and attracted a distinguished clientele that included silent film star Pearl White, the Shah of Persia, the Sultan of Morocco and World War One air ace Charles Nungesser, who was married to Californian Gold Rush heiress Consuelo Hatmaker and was lost during an attempt to fly the Atlantic in May 1927, ten days before Lindbergh�s successful solo crossing. In keeping with its sophisticated construction methods, the Farman was offered with daringly advanced open and closed bodywork, of which the car offered here is a supreme example.